Henry Mucci was born on April 3, 1911, in Bridgeport, Connecticut. He entered the Citizens Military Training Corps (CMTC) in 1928, and enlisted in the Connecticut National Guard in December 1929. PFC Mucci went on active duty with the U.S. Army on June 10, 1931, serving until June 30, 1932, when he entered the U.S. Military Academy at West Point. He was commissioned a 2d Lt of Infantry on June 12, 1936, and attended pilot training with the U.S. Army Air Corps at Randolph Field, Texas, from June 1936 until he rejoined the Infantry in March 1937. Lt Mucci served in several infantry units from March 1937 to June 1939, and then attended Advanced Infantry School from June 1939 to March 1940. He served with the 21st Infantry Regiment of the Hawaiian Division in Hawaii from April 1940 to June 1942, and then with the 24th Infantry Division in Hawaii until December 1942. His next assignment was as Commander of 2nd Battalion, 19th Infantry Regiment in the Pacific from February 1943 to February 1944, followed by service as Commander of the 98th Field Artillery Battalion from February to October 1944. Col Mucci then activated, trained, and commanded the 6th Ranger Infantry Battalion in the Pacific from October 1944 to February 1945. During this time, he led the Raid at Cabanatuan in the Philippines, where his unit liberated 516 Prisoners of War from a Japanese POW camp. Col Mucci then served as Commander of the 160th Infantry Regiment from February to March 1945, and Commander of the 20th Infantry Regiment from March 1945 until his return to the U.S. in June 1945. After returning to the U.S. he served as Chief of the Weapons Section of the Tactical Infantry School at Fort Benning, Georgia, from August 1945 to October 1946, and then at the Pentagon from October 1946 until he was medically retired from the Army on April 30, 1947. Henry Mucci died on April 20, 1997, and was buried at the U.S. Military Academy Cemetery in West Point, New York. For extraordinary heroism in action near Cabanatuan, Philippine Islands, on 30 January 1945. 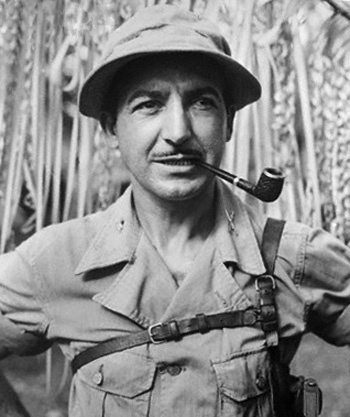 Colonel MUCCI was charged with the rescue of several hundred Americans held prisoner by the enemy. It was believed that the enemy would kill or remove the prisoners when our attack was launched in that area. Colonel MUCCI promptly assembled a rescue team composed of Ranger Infantry, Scouts, guerrillas and Filipino volunteers. On 28 January he secured guides, and moved to rendezvous with the Scouts, who reported that three thousand enemy, with some tanks, were in the stockage area. He ordered the attack at dark on 30 January. The attack was launched, and within five minutes the Rangers and Scouts entered the camp and killed the guards. Ten minutes later all prisoners were out of the camp, and were being taken to carts previously assembled. Enroute, our troops encountered a force of about eight hundred enemy, attacked and killed three hundred. Eight enemy tanks attacking the convoy were held off by a quickly established road block. The convoy proceeded through the enemy-held area and completed the evacuation of the released prisoners. Colonel MUCCI's gallant leadership, superior professional ability and outstanding personal courage contributed immeasurably to the brilliantly executed rescue of Americans imprisoned by the enemy.